Inflammation and demyelination from multiple sclerosis (MS) can cause a host of symptoms and complications. In some, damage to the hearing nerve pathways in the brain and the brainstem may lead to ringing in the ears (tinnitus) and hearing loss. Hearing loss may also take place during an acute exacerbation. In very rare cases, it has been reported as the first symptom of the disease. Overall, however, these issues are uncommon symptoms of MS. 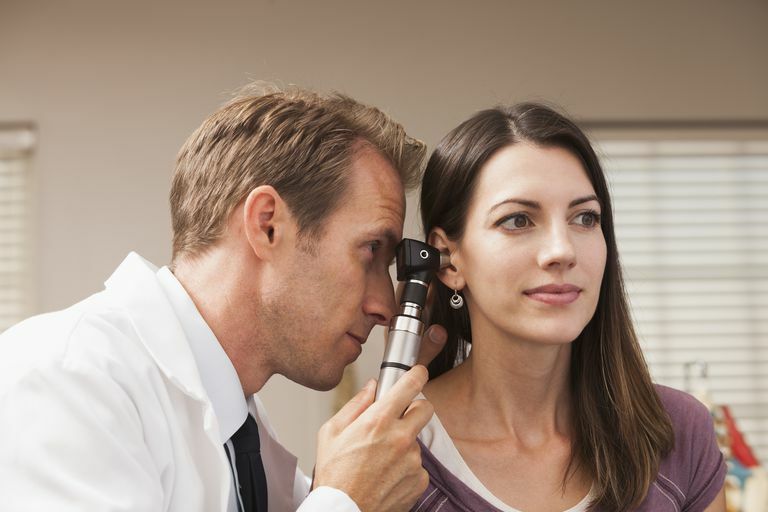 In diagnosing hearing problems, other causes must also be considered. About 6 percent of people who have MS note that they experience auditory complications. And according to one study involving 2,736 people with MS, only 0.7 percent experienced sudden hearing loss over an 11-year period; ringing in the ears is even less commonly associated with the disease. By definition, sudden hearing loss develops quickly. The impairment can happen all at once or over a few days. Some people report a popping sound before the hearing loss. This dramatic, rapid onset differentiates sudden hearing loss from age- and noise-related hearing loss, which develop gradually. As in people without MS, the development of sudden hearing loss associated with multiple sclerosis tends to occur unilaterally, meaning it affects only one ear. However, there are rare cases when both ears are affected, or the hearing loss affects one ear followed by the other. Sudden hearing loss does not necessarily mean that you are completely deaf in the affected ear. From a medical perspective, this condition is defined as the rapid loss of at least 30 decibels (a measure of sound intensity). Loss of 30 decibels is akin to perceiving normal conversation as if it were being whispered. Many people think of tinnitus as ringing in the ears, but it can also sound like a whistle, click, murmur, or a whooshing noise. It can be loud enough to interfere with your hearing or a soft noise you only notice when in quiet surroundings. Interestingly, about half of people who develop sudden hearing loss also experience tinnitus. Deafness due to MS is exceedingly rare, and most acute episodes of hearing deficit caused by MS tend to improve. Sudden hearing loss (with or without ringing in the ears) may signal an MS relapse. Like other MS-related symptoms, these problems occur due to nerve damage in the brain. More specifically, an MS lesion located in any of several areas of the brain involved in hearing or involvement of the eighth cranial nerve, which carries nerve signals to and from the inner ear, can potentially cause hearing loss. This is known as sensorineural hearing loss. Given how prevalent hearing problems are overall, any new hearing-related symptom needs to be thoroughly evaluated to rule out non-MS-related causes, such as an accumulation of ear wax, noise- or medication-related hearing loss, and inner ear disease, among others. Your primary care physician can perform basic hearing tests and will refer you to an audiologist if further testing is necessary. If non-MS-related causes are ruled out, your neurologist may recommend a magnetic resonance imaging (MRI) scan of the brain and/or an auditory brainstem response test, which assesses the transmission of electrical signals from your inners ears to other areas of your brain involved in hearing. Should I Get My Hearing Tested? Treatment will depend on whether your MS or another problem is found to be the culprit for your symptoms. Sudden hearing loss and related tinnitus caused by MS usually resolves with a short course of corticosteroid therapy, such as Medrol (methylprednisolone). Most people experience complete recovery over several weeks to months. However, some people experience only partial recovery of their hearing, and a small percentage of people are left with permanent hearing loss. In these cases, a hearing aid can help restore some degree of hearing. When you're living with multiple sclerosis, it's often very challenging to determine whether a new symptom is or is not related to your MS. If you experience sudden hearing loss and/or ringing in the ears or another form of tinnitus, contact your doctor without delay. Your neurologist might suggest that you see an ear, nose, and throat specialist first to check for non-MS-related causes. Atula S, Sinkkonen S, Saat R, Sairanen T, Atula T. Association of Multiple Sclerosis and Sudden Sensorineural Hearing Loss. Mult Scler J Exp Transl Clin. 2016;2:2055217316652155. doi:10.1177/2055217316652155.